Hastings School is one of the most popular and prestigious British schools in Madrid for several reasons. We have tried to compile the essence of all this and help you out with your decision. Strongly committed to fulfilling individual needs. In the process of their education, in a friendly environment, with a consistent dedication and seriousness focused on their learning. We aim to motivate without giving up enjoyment in the process of learning skills and acquiring knowledge. Every year, excellent academic results are our best references. Every student possesses their own strengths and capabilities so we monitor their development individually to ensure every child fulfills their potential. Small classes and personal approach. While the school grows gradually and we currently have more than 700 students we will keep the adequate class size to ensure an outstanding quality of education. 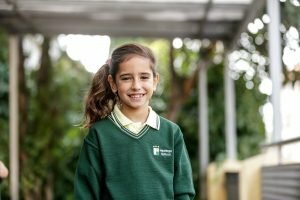 The students of this International British School of Madrid are able to perfectly communicate in at least two languages: English and Spanish. We encourage children to become global citizens, able to manage the future in an international professional environment, always bearing in mind the importance of humanistic development in search of full personal realisation. Based on necessary efforts, initiative and autonomy. We want to help students develop a sense of responsibility, concern for fellow pupils, and respect for the school and its community. We aim to uphold humanistic moral values and foster understanding, tolerance of, and curiosity for other cultures. We develop concern for the environment, inter-personal confidence and proficiency, and we encourage the adoption of a healthy lifestyle, so our graduates are both academically and emotionally equipped to construct and steer their own life project. Most advanced pedagogy and technology. The most advanced technology: digital screens, technology classes, and fully equipped laboratories, a theatre and a library. 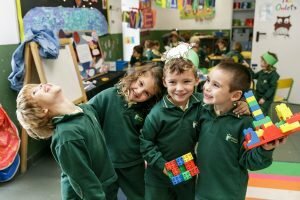 We have significant technical resources and materials so that the learning process offers the best conditions to achieve maximally. Dedicated staff for student development. Role models to encourage a sense of responsibility and personal identity. Teachers at Hastings are fully qualified professional experts on the English National Curriculum. We also encourage and monitor teachers’ performance through the investment in an ongoing development and training program. We believe in a continual cooperation between parents and the school. 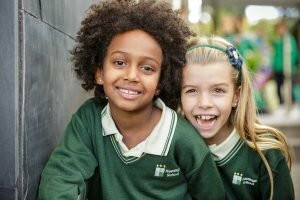 Family is the essential core of a child’s education, so we foster an open two-way relationship between our families and our school based on constant dialogue. To this end, we devise and offer joint recreational and educational activities all year round. Offering access to British, American and Spanish universities. 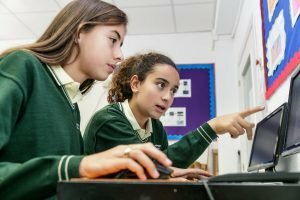 The IGCSE and Advanced Level examinations (Hastings School is an official examination centre for Cambridge and Edexcel examinations) are recognized not only in the UK but throughout the world. In the USA, A Levels are accepted as the equivalent to the Advanced Placement certification. Physical and cultural growth to achieve full development of each individual. 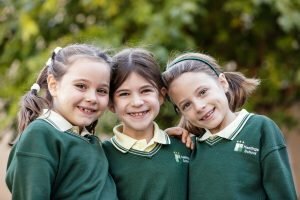 At Hastings British School, one of the most popular in Madrid, we offer a range of extra-curricular activities, which may include chess, judo, ballet, guitar, karate, keyboards, football, drama and some other activities that vary from year to year. The school’s enrichment program includes a ski trip, field trips, and national and international excursions. Our school teams regularly participate in local sports events, including football, volleyball, basketball, athletics and cross-country, and there are drama performances, fundraising and cultural events throughout the year. Ready to enter any university in the world. We offer the English National Curriculum adding the obligatory requirements of the Spanish National Curriculum. Our students are prepared to succeed in their university studies anywhere in the world. Every year, 20 to 30 students enter some of the best universities in the world.